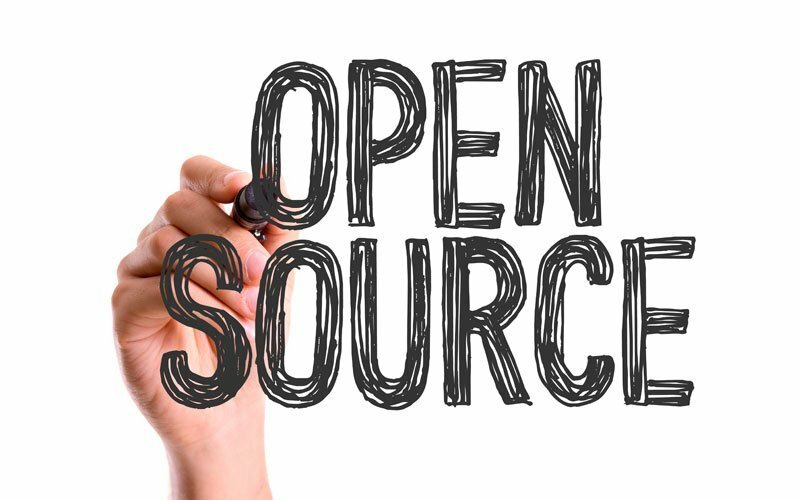 Automotive Grade Linux (AGL), described as a collaborative cross-industry effort developing an open source platform for connected car technologies, has announced that Volkswagen has joined it and the Linux Foundation, a non-profit organisation 'enabling mass innovation through open source'. Yaru Colors is a fork of the Yaru theme (default Ubuntu Gtk, icon and Gnome Shell themes) in 11 colors, with each Gtk theme being available in regular and dark versions, great for those who like Yaru, but would like to to use different accent / folder colors. Only the Gnome desktop is supported. So, this raises the question, is there any rational reason to care about the CPU architecture nowadays, and thinking about that, was there ever? An “Open Pay Wall”, has Medium lost its mind? Today’s attempt to transform Medium into a walled garden is, at best, stupid and dangerous. But it is a reminder that we should never trust a centralised place. When Medium started to launch a paying subscription, not knowing yet what to offer to pay members, I thought they understood it. I happily jumped on the wagon and spent $5 a month to support the platform. Finally, a platform was reacting to the “free ad myth”, the fantasy that ads provide money without having to return anything in exchange. Finally, someone was acknowledging that advertising was hurting our brains and transforming every content creator into a sausage salesperson. It was time for creators to be paid directly by people consuming their work. Parents and toddlers chat more as they read printed stories together compared to when they share electronic books, a new study from the University of Michigan found. Researchers say those conversations can be instrumental in teaching children to read and express themselves. My research has found that many consumers do not consider these possibilities, because they make sense of their digital possessions based on their previous experiences of possessing tangible, physical objects. If our local bookstore closed down, the owner wouldn't knock on our door demanding to remove previously purchased books from our shelves. So we do not anticipate this scenario in the context of our eBooks. Yet the digital realm presents new threats to ownership that our physical possessions haven't prepared us for. Consumers need to become more sensitised to the restrictions on digital ownership. They must be made aware that the "full ownership" they have experienced over most of their physical possessions cannot be taken for granted when purchasing digital products. However, companies also have a responsibility to make these fragmented ownership forms more transparent. On this episode of This Week in Linux, we have a ton of stuff to talk about like Fedora’s announcement of the Beta for Fedora 30, Linux Journal released their 25th Anniversary issue for Free to everyone and UBports announced they were successful in forming their own Foundation. We also got a lot of App News this week from GIMP, WPS Office, Strawberry & DeaDBeeF music players, Chef automation tool, and more. We’re also going to check out some other Distro News from Sabayon and Linux Mint. Later in the show, we’ll check out some other news from Raspberry Pi, Wayland, Purism and more. Then we’ll round out the show with some Linux Gaming News from Aspyr Media and SuperTuxKart. All that and much on this episode of your Weekly Source for Linux GNews! In this video, i am going to show an overview of SwagArch GNU/Linux 19.04 and some of the applications pre-installed. While this isn’t the first UK PyData event, Cambridge Spark will be bringing the event to Cambridge for the first time. “I’m delighted to announce Cambridge Spark’s continued support to the NumFOCUS and PyData community. We look forward to launching PyData Cambridge and share our appreciation for this thriving city that has become the UK hub for tech innovation and AI,” said Dr. Raoul-Gabriel Urma, CEO, Cambridge Spark. Every year, the LibrePlanet conference brings together many members of that movement to celebrate our achievements, strategize how to deal with our setbacks, show off new ideas, and decide what new frontiers we will trailblaze together next. The 2019 conference included many introductions to, and updates from, new and familiar projects, discussions on copyleft and security, and explorations of free software in the business world, but one compelling theme was woven through both days of the conference: how do we maintain and increase the health of our all-important community? The Canvas LMS software is Open Source. The AGPLv3 license it is under allows users to collaborate in software hosted on a cloud. Users of AGPLv3 licensed software must make any work based on it public and free. You cannot sell it, but you can sell products or offer services supported by the software. Including online courses, of course. Instructure does not release 100% of Canvas code, so you might not get the exact same experience as in signing on as a customer. The European Union's Data Protection Supervisor (EDPS) has announced an investigation into Microsoft products used by EU institutions. The probe will build a list of Microsoft wares in use by official bloc bodies and check that the "contractual arrangements" between the two are "fully compliant with data protection rules". That got regulators a little hot under the collar since such activities are very much frowned upon under General Data Protection Regulation (GDPR). Users can alter the amount of data slurped by Microsoft's productivity applications (assuming they can find the settings) but not easily turn it off completely.